The deluxe 616 Diamond-Fyre™ gas fireplace insert offers an alternative look to the 616 that is perfect for more contemporary home and lifestyles. This gas insert replaces the traditional log set with a bed of reflective crushed glass that is under-lit with accent lighting to display a magical and dramatic presentation of fire. 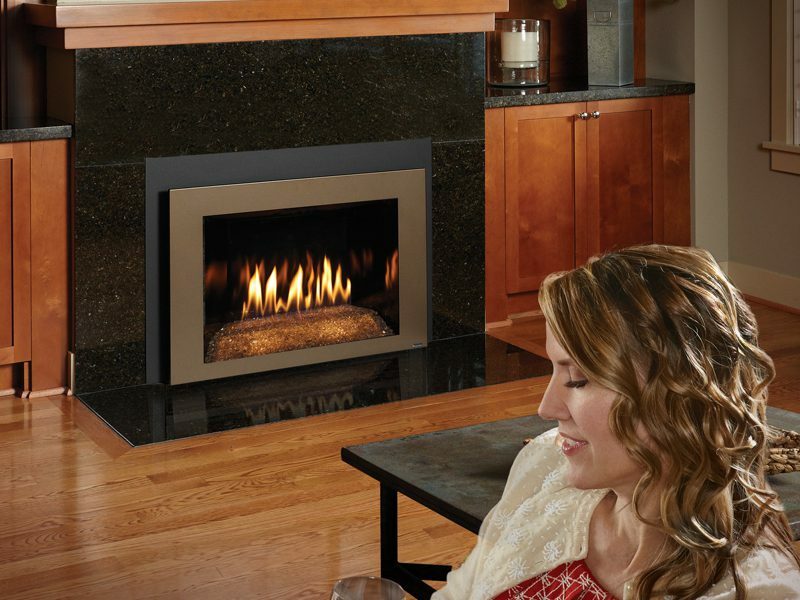 The 616 Diamond-Fyre™ gas insert features an incredible extended viewing area that is up to 20% larger than most inserts its size, making it a beautiful focal point in any room. It also comes standard with convection fans and the GreenSmart™ 2 handheld remote, offering you the best in performance and convenience. The 616 Diamond-Fyre™ gas insert features the Diamond-Fyre™ burner with your choice of Platinum, Bronze or Cobalt glass.